The SMA Sunny Island 6.0H/8.0H supports a wide range of on-grid and off-grid applications in the 3 to 25 kW range - from operation in remote off-grid areas to home energy management. 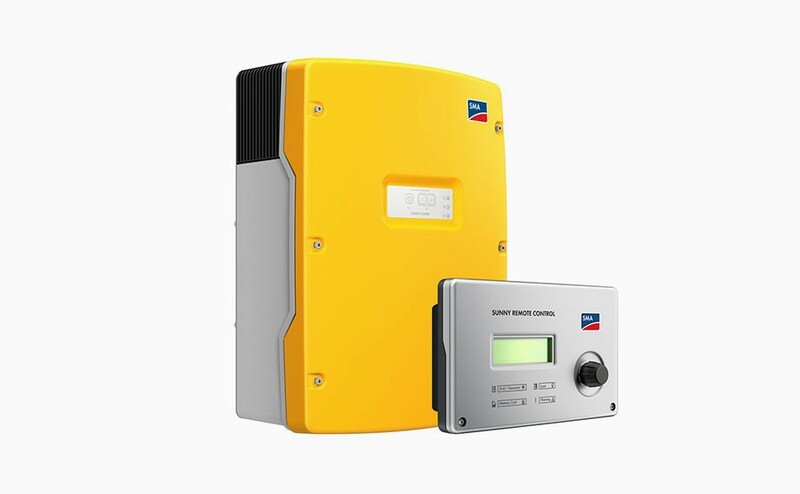 The SMA Sunny Island offers flexibility in terms of combination with other equipment, which means that the system can be configured precisely to meet the applicable power requirements. 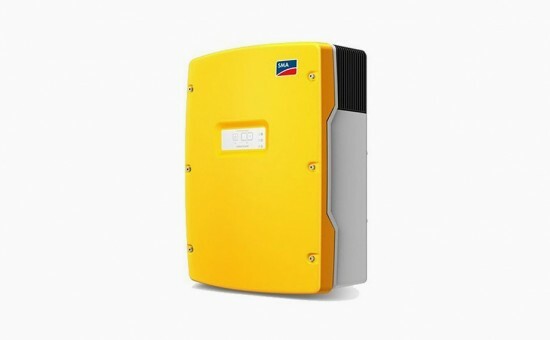 In the SMA Smart Home, the Sunny Home Manager, with the SMA Sunny Island, takes control of intelligent management between the PV system, appliances and storage systems as well as regulates all energy flows. 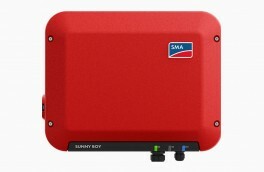 The SMA Sunny Island is impervious to fine desert sand, high humidity in rainforests and salty mist in coastal regions as well as significant temperature fluctuations. It runs reliably under the most extreme conditions—without compromising its efficiency. 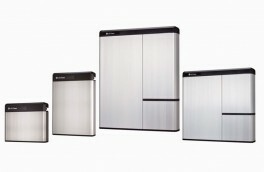 * See List of Approved Lithium-Ion Batteries. ** Procurement via external supplier. The SRC 20 external control unit enables quick and easy commissioning of Sunny Island 6.0H / 8.0H and 3.0M / 4.4M. A rotating push button and illuminated alert button make operation intuitive; the four-line display shows the status of the plant. Data is archived on an SD card. Load-shedding protection for use in AC-coupled off-grid systems: disconnecting loads during power overloads allows the batteries to recharge – e.g. from the PV plant. To ensure that the protection doesn't drop out due to a short circuit, only DC contactors that are supplied by the battery are used. 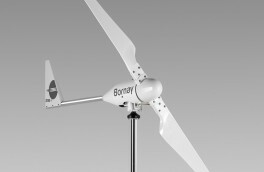 Compatible versions are available for all Sunny Island models. The RS485 wiring for plant monitoring and communication allows functional lengths of up to 1200 meters. The Sunny WebBox collects all the data and informs you about the status of the PV plant. With Piggy-Back the data transmission is reliable even in interference-prone areas. Subsequent expansions are possible without problem thanks to the modular design principle. For communication in Multicluster systems, one Piggy-Back is required per cluster. The Piggy-Backs are also equipped with an RS 485 interface for the SMA Monitoring Bus. Scope of delivery includes data cable for indoor use. Compatible with Sunny Island 5048. SIC-Piggy-Back for a smooth communication between Sunny Island Charger and Sunny Island via the sync bus of the Sunny Islands. Adapter cable for using the RS485-communication between Sunny Island and Sunny WebBox. External DC distributor for all-pole battery fuse protection. Both types are suitable for currents from 63 to 250 A and feature an NH fuse-switch disconnector for simple activation of the Sunny Island. BatFuse B.01 provides one connection for Sunny Island and three DC connections on the battery side. 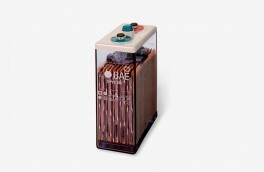 BatFuse B.03 features three connections for Sunny Island and six DC connections on the battery side. Both types also have an 8A auxilliary supply output from the battery. Compatible with all Sunny Island models. Cables for the DC connection between the battery, BatFuse and Sunny Island - or the direct connection between the battery and inverter. 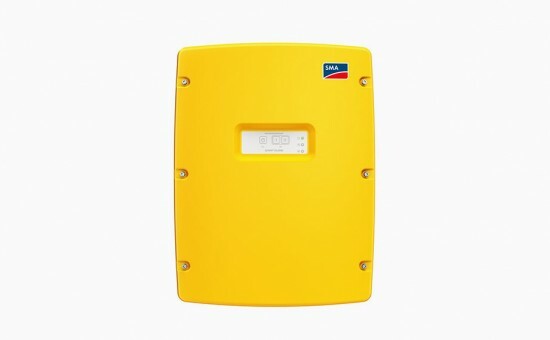 The double insulation enables ground-fault-proof and short-circuit-proof installation. Approved for cable temperatures up to 90°C. Measuring shunts for battery current detection. Suitable for use with generators or loads that cannot be measured by the Sunny Island. Battery shunts are available for maximum DC currents of 200 and 600 A. 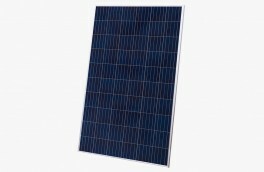 Compatible with Sunny Island 6.0H / 8.0H and 3.0M / 4.4M. Replacement battery temperature sensor tyep KTY with 10 m connection cale for Sunny Island.